A survey conducted in 243 schools at 487 point of sales (PoSs) across India has found that about half of them (225) sell tobacco products to minors, in a blatant violation of the Cigarettes and Other Tobacco Products Act (COTPA). Under COTPA, the sale of tobacco products to and by minors and also the sale within 100 yards of any educational institution are banned in India. The survey was carried out by non-profits Consumer Voice and Voluntary Health Association (VHA) of India. It covered schools in 20 cities across six states namely Delhi, Gujarat, Madhya Pradesh, Assam, Tamil Nadu and Telangana. The report titled, ‘India Tiny Targets Report’, was released on January 16, 2019. According to the report, the most common tobacco products available for purchases in the areas covered included cigarettes (29.6 per cent), followed by smokeless tobacco products and ‘bidis’. The findings also revealed the fact that most common PoSs were street vendors (56.6 per cent), followed by mobile vendors and small grocery stores. Out of the 670 brands available around schools and playgrounds, the maximum instances were of the brand Gold Flake (28 per cent) followed by Classic, Marlboro, Wills and Red and White. While Gold Flake and Classic brand cigarettes are manufactured by India’s ITC, Marlboro is produced by the United States’ Philips Morris International. Overall, British American Tobacco (BAT), followed by ITC, dominated the market for children. The study found another violation of the law. COTPA bans tobacco advertising and promotion of tobacco products at a PoS. However, the survey found that most brands had advertised their products at PoSs through posters and some by umbrellas and carts. Out of all the PoSs observed during the survey, BAT had the highest advertising share followed by Imperial Tobacco. This finding is signification because many World Health Organization (WHO) studies have revealed that the more young people are exposed to tobacco advertising, the more likely they are to start smoking. In fact, the WHO puts so much stress on curbing advertising that in 2010, the ‘World No Tobacco Day’ was themed around the same as tobacco companies want to catch the customers during youth to their addictive products through sophisticated advertising. 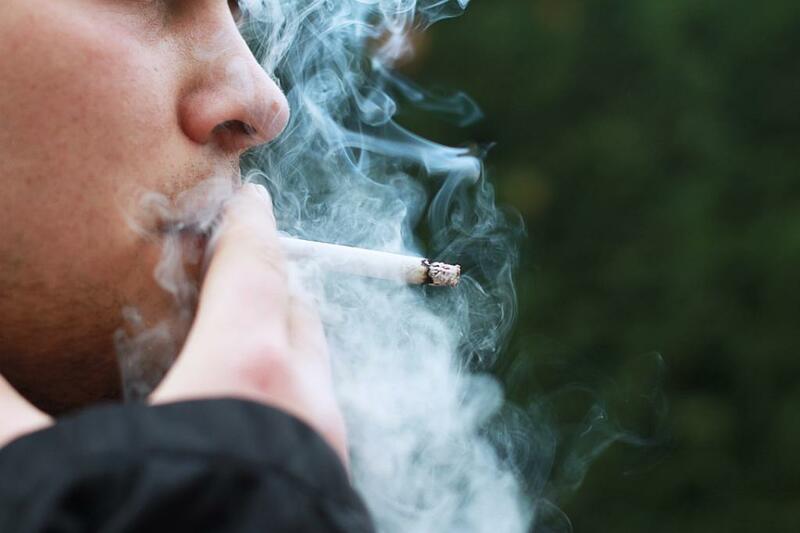 The researchers also found that the most common tactic was selling single cigarettes (90.9 per cent) to boost sales. This is also an indirect violation of the law because when cigarettes are sold loose, the customers are not exposed to the mandatory health warning which comes with a pack. Vending machines, otherwise, were also seen as a tool employed by the industry to boost tobacco sales around schools and playgrounds in various locations. Direct violation of this aspect of the law was also observed as 54 per cent of the tobacco products displayed had no health warnings which were ‘visible’, according to the report. Another clever tactic was display of the products. ‘Eye level is buy level’ is considered to be the most important mantra for boosting any kind of sale. The investigators of the survey found that 91 per cent of the tobacco products were at child’s eye level (approximately 1 metre). Also, to increase visibility, 90 per cent of the products were displayed beside candy, sweets or toys. The industry and retailers were found to be offering incentives as well to append sales. In as many as 37.5 per cent of PoSs, the investigators found discounts being offered while the rest gave free tobacco products with others.